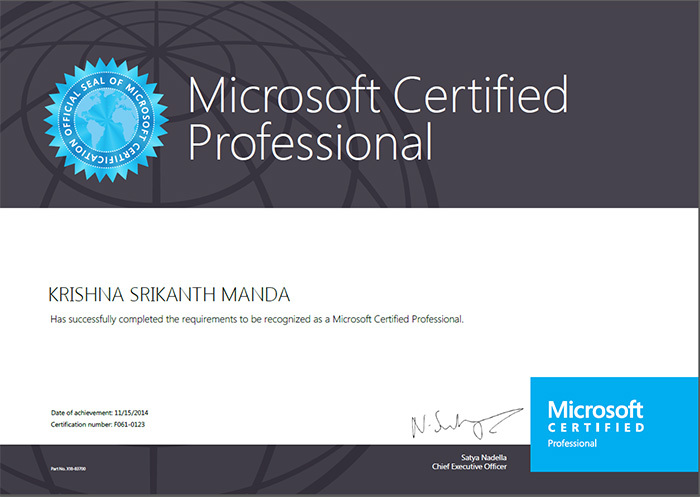 After 2 days of completing 70-480 exam, today I have received a mail from Microsoft notifying me about MCP portal. 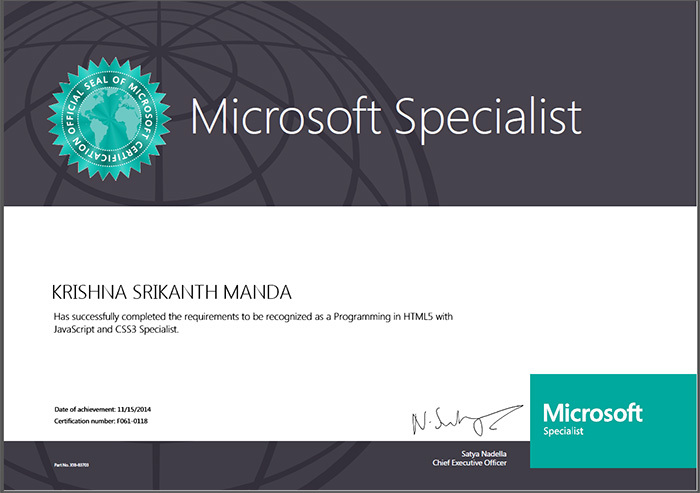 I was able to single-signon with my hotmail ID in Microsoft MCP portal. There I found a link to download certificates. I was able to download PDF versions of the certificated. These are the screenshots. I’m preparing for the exam can you guide me which books need to be refer for this. I have 10 months of experience in this technologies. I will appreciate your any guidance for this exam. Thanks in advance. This is Vamsi Krishna from Nellore, Andhra Pradesh. I want to prepare for the Exam 70-480. Please guide me how to pass the examination and resources for that.